Registration ends soon for ZogSports outdoor soccer summer league at Baker Field (218th St Columbia Complex)! http://www.zogsports.org/activity_list/outdoor%20soccer to sign up, register with a team or as an individual to be placed on a team. There are a variety of levels of play from "Players" to "Extremely Casual" - fun for everyone. Yay for summer sports in the 'hood! 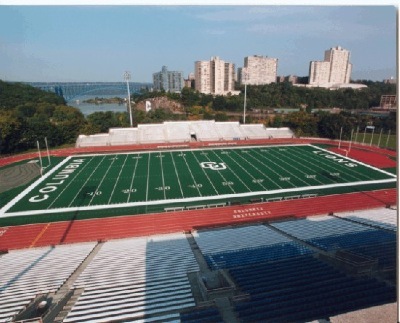 It was tough finding a team that wouldn't require travel WAY downtown, this was a great little surprise when I found out that they play in Inwood. Sometime in early March I was certain that spring would never come. It was an endless winter full of chills and bitter winds along the river. I've never worn my fleece-lined spandex on runs so much since I lived in NH. Brr. But finally, I can't pinpoint the exact moment when it happened, but spring sprung. It tried to sneak up on us, but we were ready. I was ready with running shorts and non-wool socks and even some sunglasses, and of course my camera. I took a million shots that day, but here are a smattering of the best.